As we have since July 2006, each Friday we’ll post our sampling of cigar news and other items of interest from the week. Below is our latest, which is the 579th in the series. 1) On Tuesday, we learned the unfortunate news that cigars had been dealt a major legal blow. 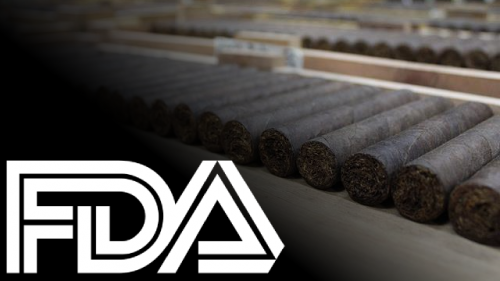 Judge Amit P. Mehta of the U.S. District Court for the District of Columbia issued a decision, siding not with the cigar industry groups who were challenging the U.S. Food and Drug Administration’s (FDA) regulation of premium cigars and other tobacco products, but with the FDA. “If you’re looking for someone to blame for yesterday’s ruling, don’t focus on the judge, but on the Congress that authorized the FDA’s regulation of cigars in the first place,” we wrote on Wednesday. “And don’t forget: Today’s Congress still has the power to repeal it.” Little did we know, later that same day, the industry would be rewarded with a glimmer of hope. The fiscal year 2019 budget, as approved by the U.S. House of Representatives Committee on Appropriations, includes some positive language. “The language as adopted by the committee blends past efforts, by not only providing an exemption for defined premium and large cigars, but changing the ‘predicate date’ for cigars and pipe tobacco from burdensome pre-market approval procedures to the time of the deeming rule issuance, from February 15, 2007 to April 25, 2014,” reads a statement from Cigar Rights of America (CRA). “This amendment once again sends a clear message that the regulations advanced by the FDA go well beyond the congressional intent of the Tobacco Control Act,” said Glynn Loope, executive director of CRA. Mind you, this isn’t the first time such language has made it out of committee only to be eliminated from the final spending bill. But the inclusion of the language at this juncture is a bit of welcome news in an otherwise dreary week. 2) The latest release from Davidoff’s Vault program that offers rare and vintage cigars is the Wagner, which went on sale today. It was originally issued in Europe in 2004 to honor Swiss tobacconist Wagner Tåbak‑Ladeli. Davidoff said it was its “first tailor-made cigar.” The Vault has been a consumer hit, with most offerings selling out in a few hours. 3) Random Read: Why Burger King is blasting Bach. 4) Inside the Industry: Villiger recently announced the opening of a new factory, Villiger do Brasil, located in the Brazilian state of Bahia. The factory will be devoted solely to Brazilian puros, including the Villiger San’Doro Maduro, which is available in the U.S. market. 6) Deal of the Week: StogieGuys.com recommends Bespoke Post, a monthly collection of awesome items (think fine bar accessories, shaving kits, workout gear, and more) delivered for just $45. Of note is the Churchill box, which features four exclusive cigars, an ashtray made of reclaimed wood, an odor-eating candle, cedar spills, and a cutter. Once you are signed up, there is no obligation; you can skip or purchase each month. Sign up soon to be eligible for the June box.